Habitat Apartments was founded in 2001 by David Riba and Olga Rodellar. 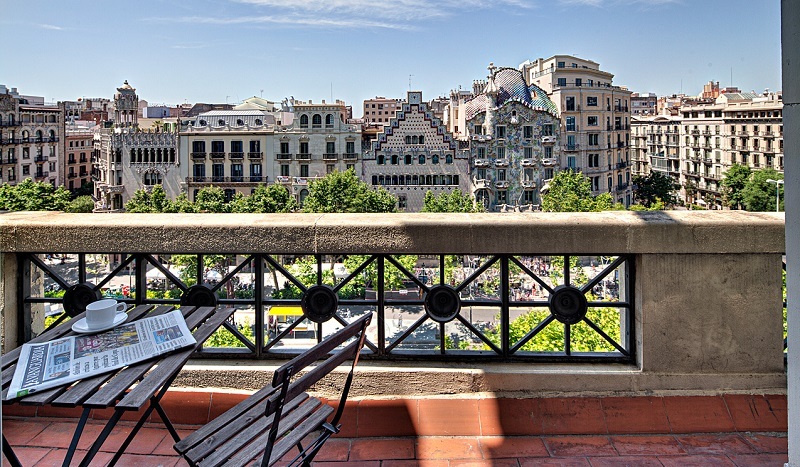 We are an apartment rental company based in Barcelona, Spain. The company started out with only four employees, who supervised eight apartments in Spain. In a span of 15 years, Habitat Apartments expanded up to 25 employees and over 500 apartments in eight different cities in Europe – Barcelona, Madrid, Amsterdam, Rome, Venice, Florence, Valencia and Marbella. Focusing on our core values, excellent customer service, focus in quality management, and professionalism, as well as a carefully selected variety of apartments, we were able to elevate ourselves from competitors. Recognized by prestigious associations, Habitat Apartments has won several awards, such as our fourth consecutive award for “Spain’s Leading Serviced Apartment Brand 2017”. Why choose Habitat Apartments for your stay? Our apartments are selected according to their quality, location and level of comfort. We only offer you the best. Our staff is available 24hrs a day, 7 days a week. Our representative will be at the apartment to welcome you and show you around. You will be able to ask all the questions you need. In our apartments you will feel like at home and will be able to enjoy life as a local in the city you are visiting. Our apartments are all licensed touristic apartments, which means they answer to strict requirements set by the city council.